We’re happy to announce that we are working together with GameTrust to bring the Trine games to Nintendo Switch™. 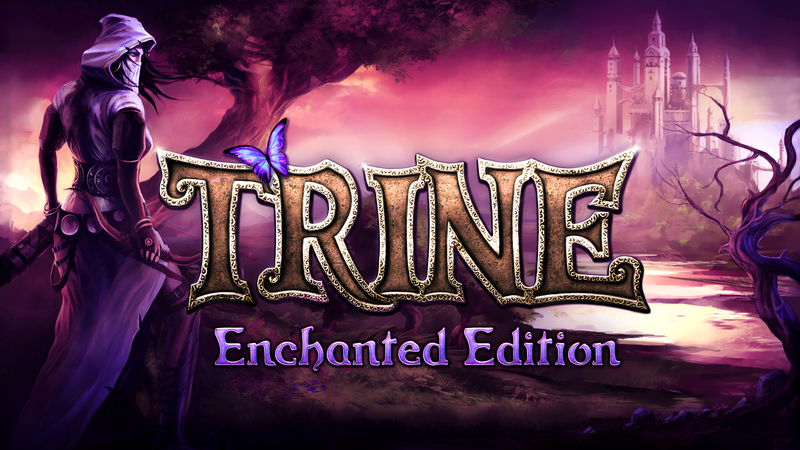 The quest begins with Trine Enchanted Edition, available on Nintendo eShop today in North America and Europe for a price of $14.99 / € 14.99 / £ 13.49! 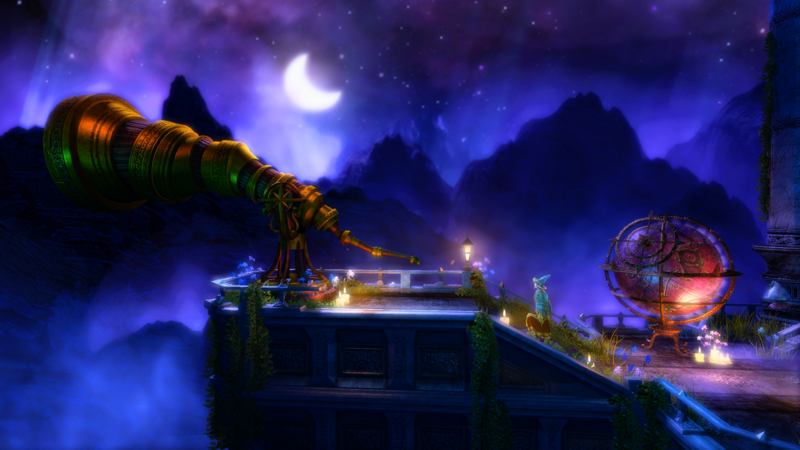 Trine 2: Complete Story and Trine 3: The Artifacts of Power are coming to Nintendo Switch soon after, with exact release dates still to be announced. All the the Trine trilogy conversions are being worked on by the experienced Barcelona-based studio BlitWorks. Solve challenges and puzzles in many different ways by combining the characters’ abilities, and come up with creative solutions never seen before! Excelent news for the Nintendo Switch owners!! 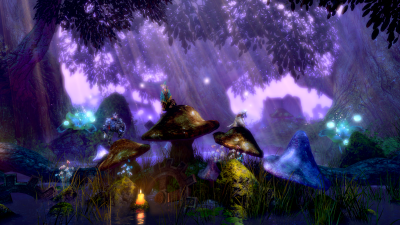 I’m really pleased to finally be able to get and play Trine 3 on my Nintendo. I waited it for years to be launched on WiiU but it never happened. I enjoyed a lot the first two games and I am willing to try the third part of the saga, eventhough the game was not very well received by the community. I can just say thank you to the team for such a great news and I wish them all of the best success for the incoming games. You trully deserve more recognition for yor hard work. Keep it up!! Unfortunately we decided to go with the classic controller layout. This way you don’t have to let go of the controller while drawing objects. Still thanks for the report, we might look into this if there are other reports, but this was just most logical way for us to go with the controls. I also would like touch screen support added in an update. Leaving that out appears to be a lazy cost cutting measure. I already bought this game of on the Wii U at least give us the same version without removing features. Also my daughter and her two friends play this game but my youngest daughter is always left out and sad because there is not support for a 4th controller. Any chance to can add that even if 2 people are the same character? One last thing, will this come out as a digital bundle when all 3 games are released? Thanks for the feedback, we’re looking into the touch screen support. The issue is here that we’re porting the PC version, which doesn’t have it. I can’t promise it, but hopefully we’ll be able to add it. Also unfortunately there can only be three players, so we aren’t planning to add fourth controller support. This would need a lot of changes in the game, and this isn’t even asked a lot. Hopefully your youngest daughter still gets to enjoy the game with you or play the second time with other kids. Also changing the controller could be good, or maybe she has a friend who could play with her later? Sorry for the inconvenience, but again thanks a lot for the feedback. Cheers! Glad to see this available for Switch owners. Has/Will the game be patched beyond the current PC version (v2.12 build 510)? We’ll be porting the PC version onto Switch, so there won’t be new content. Is there something specific you’d like to be included? Will there be a physical release or just digital? Will these be digital release only or will I be able to pick up a copy in stores as well at a later date? I bought this game just so I could play co-op with my girlfriend, the description of the game in the nintendo estore says that it’s possible to play with single joy cons. But when i enter the game, this is not the case, the only way to play is by combining the 2 joycons into one controller. Now i can’t play co-op at all, because i don’t have 2 extra joy con controllers and i’m not planning on buying them. Could you guys please fix this, and if there’s no way to fix it: could i get my money back? I only bought this game to play co-op. Update: This message had false information due to a mistake on my part, and for this reason has been edited in February 2019. Sorry for all inconvenience regarding this! Update on 22th February! Due to a mistake on my part I failed to tell that Trine games on Nintendo Switch are not playable with a single joy con. After that you can just start the game and join with each controller. However, please note that we do recommend each player having two joy cons for the best experience. Keep up the good work and Glad to see this available for Switch owners. Unfortunately Trine games on Nintendo Switch are not playable with just a single joy con controller. Update: Unfortunately it’s not possible to play Trine games with a single joy controller. This was a mistake on my part and has been updated to this message on February 2019, which is why later replies might not apply. I’m also having this same problem, joy cons seperate and when you go in the game it makes you connect again. Is it still possible to disconnect and then connect the joy cons controllers normally (while in-game)? My friends and I are totally digging your Nine Parchments game on the Xbox right now ( I know, we are late to the party.) 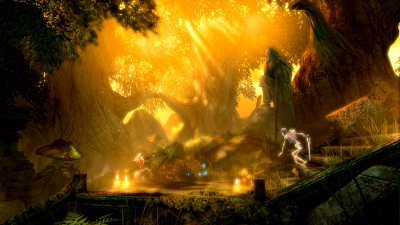 It would be awesome to see Trine make its way to the Xbox. Could this be possible?? Thanks for the plentiful amazing gaming memories with my friends. 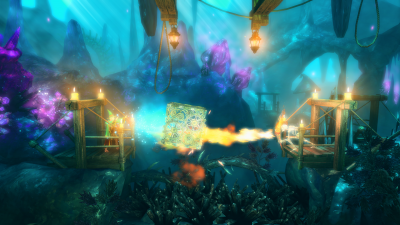 We currently don’t have plans to port the Trine trilogy to Xbox, but we’re listening if we get a lot of requests. Cheers! i played almost all of these games. except the ones with low graphic art like f-zero, mario kart, castlevania, metroid etc. contra had low graphic but very enjoyable with co-op. earthbound, ff should be top5. Will you be releasing Trine 3 on its own (without the other two included) for the Switch? I’ve played the other two, and want to play 3 and 4 when released for the Switch. Great series!